Summer is back with a bang! There is no respite from the heat waves even in Chandigarh, but a quick weekend escape to the lap of mountains can offer instant relief from the sweltering summer days. Chandigarh being the first ever planned city of India represents modern urbanization and metropolitan developments. 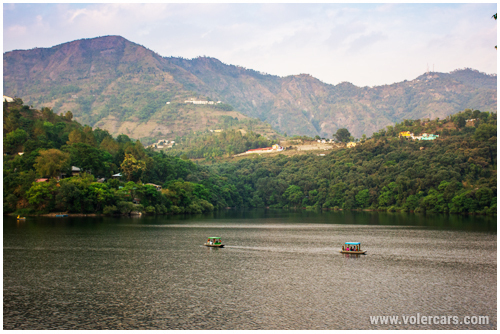 It's also a great getaway to the vibrant hills of Himachal and Uttarakhand. No wonder people living in the city are loaded with options for rejuvenating day trips and weekend getaways. As the choice is spoiling, we are here to make things less confusing for you. Read on as we bring to you our top 5 picks for perfect getaways near Chandigarh. To escape the torrid and humid season, Nahan is undeniably the perfect weekend escape from the city. Located at a short distance of 90kms from Chandigarh - The little hill station has a lot to offer to its alluring travelers. Along with the picture perfect landscape, it is also rich in history and heritage - remembered as the land of folklores and legend. Chail, also known as the summer capital of the princely state of Patiala - Chail is spread across three hillocks - Rajgarh, Pandewa and Sadh Tiba, overlooking the valley of Sutlej. It's best for those who want to break free in the midst of dense cover of pine and deodar trees. It's captivating beauty makes it a must visit for weekend getaways. Mandi is a historic town and situated just 204 kms away from Chandigarh. Along with its picturesque landscape, Mandi also is a reflection of fine colonial architecture. The lush green surroundings amidst of mountains makes you forget about the hustle bustle of city life and enjoy peaceful ambience here. If you are not a big fan of commercial hill stations and looking for some me time in the serenity of nature - Almora in Uttarakhand is an ideal place for you! It boasts of tranquil environs. Chittai Devi Temple, Kasar Devi, Bright End Corner are some of the best places to see in Almora. Naukuchiatal - lake of nine corners is situated around a beautiful lake and slowly becoming a favourite place for offbeat travelers. It's just 473 kms away from Chandigarh, Naukuchiatal is a small hill station, perfect for weekend getaways. Recreational activities also involve walking through natural trails and boating in the beautiful lake.